Secular scientists will use assumptions to “prove” (more like bully) you into believing that the Universe is 13.77 billion years old (tomorrow this will change, so don’t quote me on this – somehow they keep changing their minds) and not what the Bible simply states in its Creation account in Genesis. But have you ever questioned one of those scientists about comets. Comets are made up of ice and dirt that orbit the Sun in elliptical paths that carry them both far away and close to the Sun. When they get close to the big hot star called the Sun, the solar heat and radiation vaporizes that ice and causes it to disperse out in space. 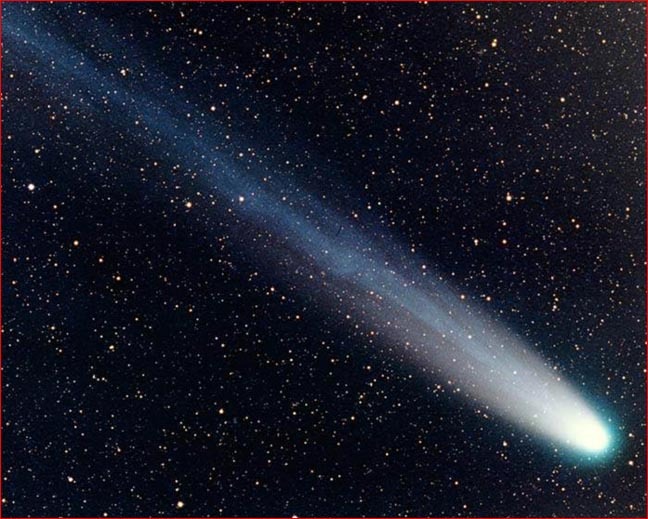 That is why you see comets with tails; the tail is material that is being blasted away through solar heat and radiation. So every time you see a comet, it is getting smaller and it is losing more material. Therefore, the comet can not last forever. The typical comet can last no more than 100,000 years before it loses all of its material. And yet we still have comets. So if the solar system was billions of years, why do we still have comets since they cannot last that long? And the amazing thing is that the secular scientists know that they cannot last that long. They just don’t want to admit they know. This is yet another observable scientific confirmation of the Biblical record of Creation that science teachers and science textbooks literally don’t want you to study up on.